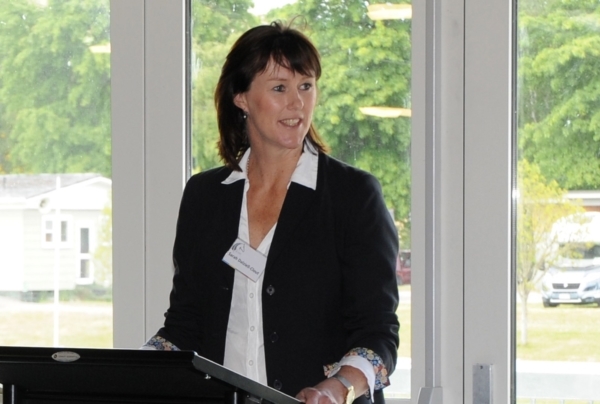 Outgoing ESNZ high performance director Sarah Dalziell-Clout bows out from her four years in the role with plenty of praise for the team who make up the high performance and performance programmes. “Behind each and every high performance combination there is a significant team of people and I feel fortunate to have worked with, and learnt a lot from, such a group of experts,” says Sarah. Equestrian Sport chief executive Dana Kirkpatrick said Sarah’s contribution to developing the programme into a world class, elite level concept has been exemplary and her skills will be missed by the entire team. “However, we wish Sarah all the best and know she will continue to follow and support equestrian sport as she is so passionate about it,” said Dana. Sarah, who has been replaced by Simon Bennett, looks back on a period that brought with it, very typically, the highs and lows that only the horse world can deliver. She’s proud of the significant strategic shift that has taken eventing high performance from a rider-focused high performance support programme to a more sustainable system that invests in the wider HP environment. Initiatives include bringing experts like cross country designer Mike Etherington-Smith and dressage coach Isobel Wessels to New Zealand multiple times have been reflective of this shift. Similarly, pushes like the HorsePower Project which targets increasing the recognition of owners and sponsors, while attracting new owners and sponsors, has begun to gain real traction. Sarah has loved seeing the growth of the riders within the eventing performance programme, culminating in success for the senior team at the Oceania Championships in 2017 – she’s looking forward to a repeat of that later this year – and the rise of some very exciting combinations who are now on the road to high performance. Performance leader Jock paid tribute to Sarah’s commitment saying she was hugely passionate about our programme and sport, and has made so much positive change. “Only those who have worked with her would truly know just how hard she has worked to deliver the best possible programme for the riders. I appreciate her great leadership and have learnt a lot from working with her. I hope we can continue to drive the programme with the same momentum,” he said. Those sentiments are echoed by eventing dressage coach and former eventing performance leader Penny Castle. “I have enjoyed working with Sarah and seeing the strengths she has brought to what we have been aiming to achieve. She believed in what we were doing in New Zealand and always backed us in producing riders and horses to step up into the programme in the UK,” said Penny.